Enjoy the peaceful experience of the Madeley Court Hotel renowned for its superb service and cuisine. The hotel is a 16th Century Manor House steeped in history offering both the facilities of a modern hotel and the ambience of a beautiful Manor House in countryside surroundings. The Clarion Madeley Court gives you a unique opportunity to appreciate the splendour and architectural history of a medieval residence. The conservatory area with resplendent stylish furnishings and a lakeside view, makes for the perfect place to relax after a hectic day. Dining at the Madeley Court is a once in a lifetime experience with the choice of The Priory Restaurant which is situated in the heart of the hotel in the Great Hall giving our guests exquisite modern British cuisine in the finest surroundings. For a slightly more informal setting 'Le Rendezvous', our provincial French cellar brassiere, is the ideal venue to relax and unwind from a hard day at the office or from visiting the many museums and attractions that Shropshire has to offer. The Gallic cuisine and wine list offers a real taste of the French lifestyle. You will be staying close to some great attractions including Ironbridge Gorge, site of the 1st Ironbridge and home of the Industrial Revolution. There are numerous museums located near the Gorge for which you can purchase a "Passport" which will gain you entry to all the museums and can be used over a period of time. Also nearby are the Silkin Way, Weston Park and Powys Castle . All 47 rooms are individual in character and some boast original features that you would expect to find in a premier country house. Stayed in an 'historic' room... very atmospheric. Great food, friendly, very helpful staff. 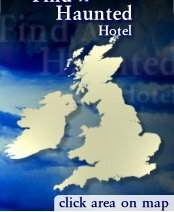 A bit on the expensive side but worth it, and if your wondering, yes its haunted - we picked up on at least 4 ghosts! Prices range from £45 per person per night.